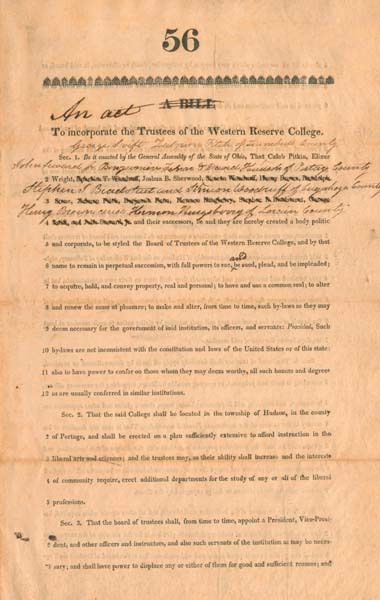 The State of Ohio granted the charter to establish Western Reserve College. 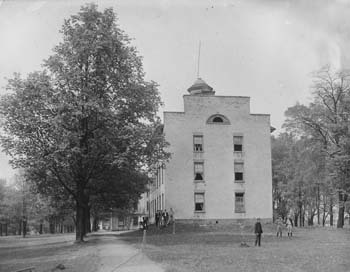 Middle College, the first building on the Hudson campus of Western Reserve College, opened for use. Western Reserve College students established the Philozetian Society, a literary society. Activities of the Society included orations, compositions, debates, and disputes or disputations (extemporaneous debates). The Society also operated its own library. 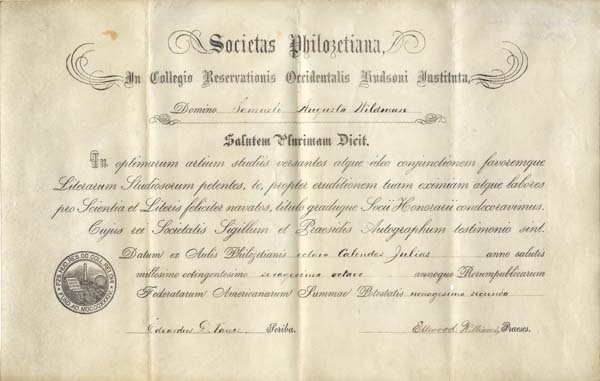 Pictured here is a certificate conveyed by the Society to the student upon their graduation. 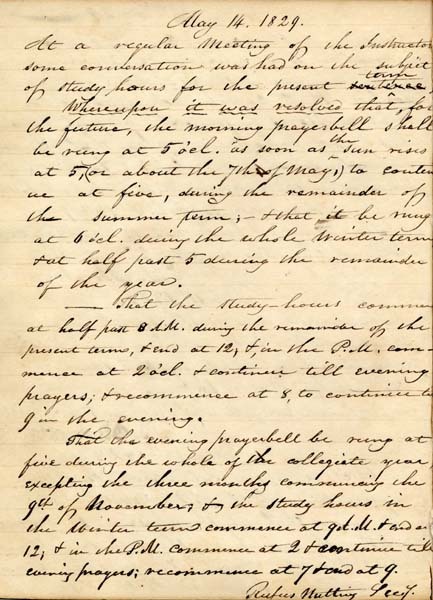 The scope of faculty responsibility has changed over time as evidenced by the minutes of the May 14, 1829 meeting. Among other issues, the faculty determined the time of the morning prayer bell (5:00 a.m.), and study hours (8:30 a.m.-noon, 2:00 till evening prayers at 5:00, and 8:00-9:00 p.m.).